Random House Trade Paperbacks, 9780812970128, 416pp. Baltimore, 1849. The body of Edgar Allan Poe has been buried in an unmarked grave. The public, the press, and even Poe’s own family and friends accept the conclusion that Poe was a second-rate writer who met a disgraceful end as a drunkard. Everyone, in fact, seems to believe this except a young Baltimore lawyer named Quentin Clark, an ardent admirer who puts his own career and reputation at risk in a passionate crusade to salvage Poe’s. As Quentin explores the puzzling circumstances of Poe’s demise, he discovers that the writer’s last days are riddled with unanswered questions the police are possibly willfully ignoring. Just when Poe’s death seems destined to remain a mystery, and forever sealing his ignominy, inspiration strikes Quentin–in the form of Poe’s own stories. 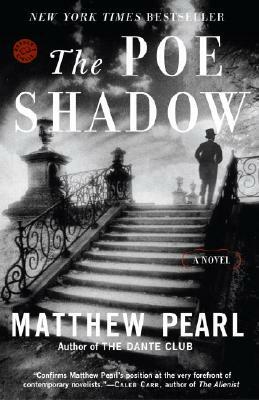 The young attorney realizes that he must find the one person who can solve the strange case of Poe’s death: the real-life model for Poe’s brilliant fictional detective character, C. Auguste Dupin, the hero of ingenious tales of crime and detection. In short order, Quentin finds himself enmeshed in sinister machinations involving political agents, a female assassin, the corrupt Baltimore slave trade, and the lost secrets of Poe’s final hours. With his own future hanging in the balance, Quentin Clark must turn master investigator himself to unchain his now imperiled fate from that of Poe’s.